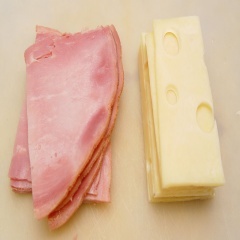 Buy meat and cheese in bulk and you will be set for several weeks worth of meals. It will save you money. With these simple time-tested tips you can save make it simple also. Learn to store your meats and cheeses without waste! I get asked often about how to save on meats and here are a few tips that will help save you money and time. Ground Beef: Divide it up. Purchase several family-size packages of ground beef at a time. But don’t just toss it in the freezer, divide up your meat into hamburgers, meatballs, etc. Also try dividing it up into 12 oz sections, not 1 lb sections. This will save you money by cooking with 12 ounces instead of the usual pound and you won’t even miss those couple of ounces, but your pocket book will thank you! Chicken: Cook it in advance. 10 lb bags of legs and thighs are very economical. You can bring it home, cook it, and shred it, or chop and freeze. A single meal for your family might only mean six thighs or drumsticks. Once you have cooked it, package in meal size portions in zip top bags and freeze. This will save you a great deal of time and make meal planning easier. Plus if you have the chicken cooked and ready, you may not grab a convenience meal out! Saving you money. Cheese: Stick it in the freezer. Buy grated cheese in the 5 pound packets, put it in the freezer as is. When you need some, just thump the bag in the counter a few times and enough cheese will release in a frozen clump. Once I freeze cheese, I use it for cooking only. Pork: Slice smaller portions. Buy it in big portions, then cut it into slabs yourself. Use the pork for chops, or cut into smaller portions for stir-fries. Freeze the chops in gallon-size zip-top plastic bags. Use quart size bags for a meals worth of the smaller portions. Beef: Cut it or cook it. Cut beef into cubes for stews, or strips for stir-fries. The more cutting you do before your meat hits the freezer, the quicker your meals come together. Lunch Meat Savings: Instead of paying a premium for sliced lunch meat, purchase a whole ham or pre-cooked seasoned turkey breast, and thinly slice the meat making your own lunch meats. I freeze the sliced meats in 8 ounce packages and put them in the refrigerator the night before I plan to use them for sandwiches.